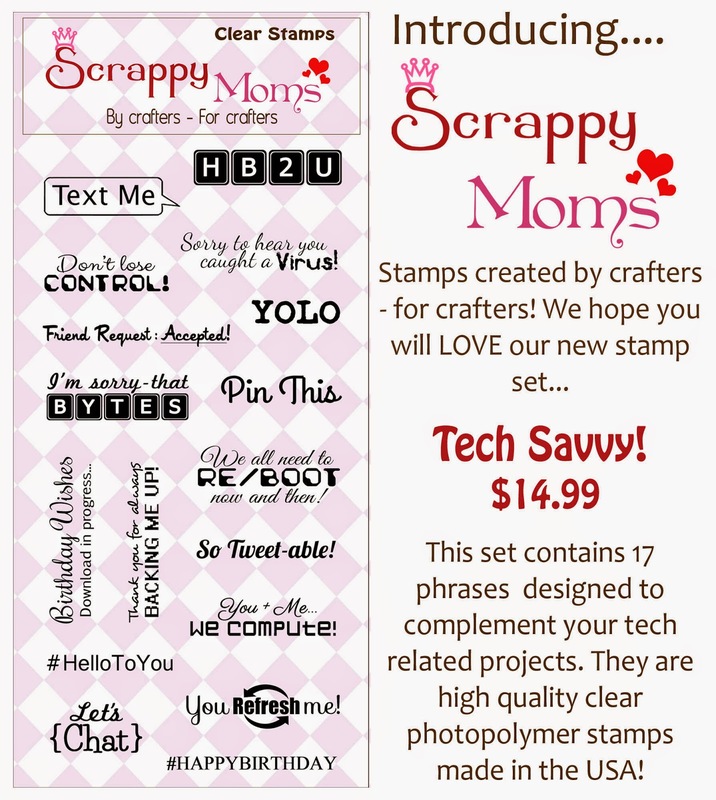 Moe Creations: Guest Designer for Scrappy Mom's Stamp Release!! 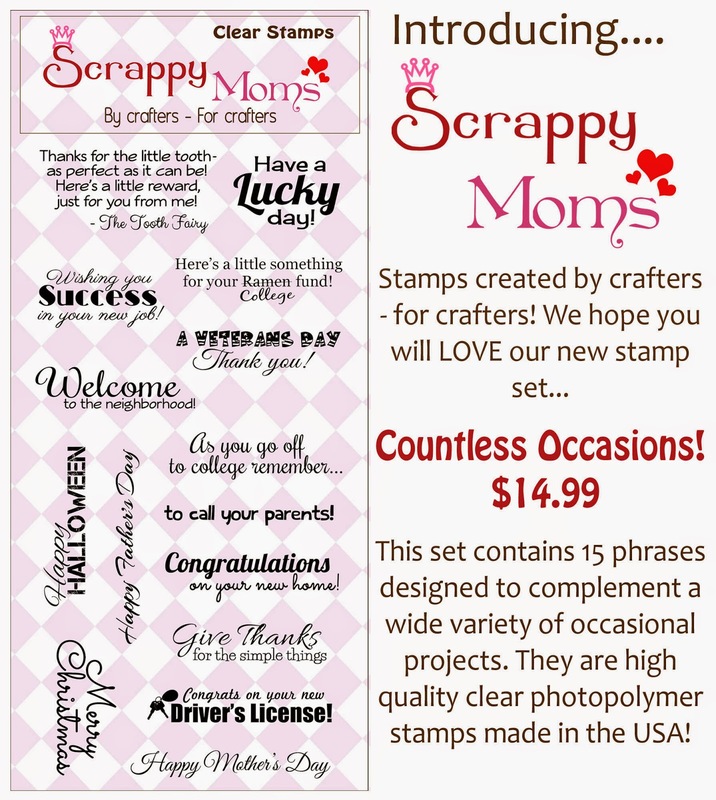 Guest Designer for Scrappy Mom's Stamp Release!! Looking for Fun Friday Challenge, click here! Don't they look gr8t??? I just love how they stamp, such a crisp clean sentiment! I really hope you enjoy my card, I had a wonderful time making it, be sure to come back tomorrow for another post and more fun using these awesome stamps! Be sure to check out the rest of the DT as well!!! Congrats on the GD spot! To cute card! !